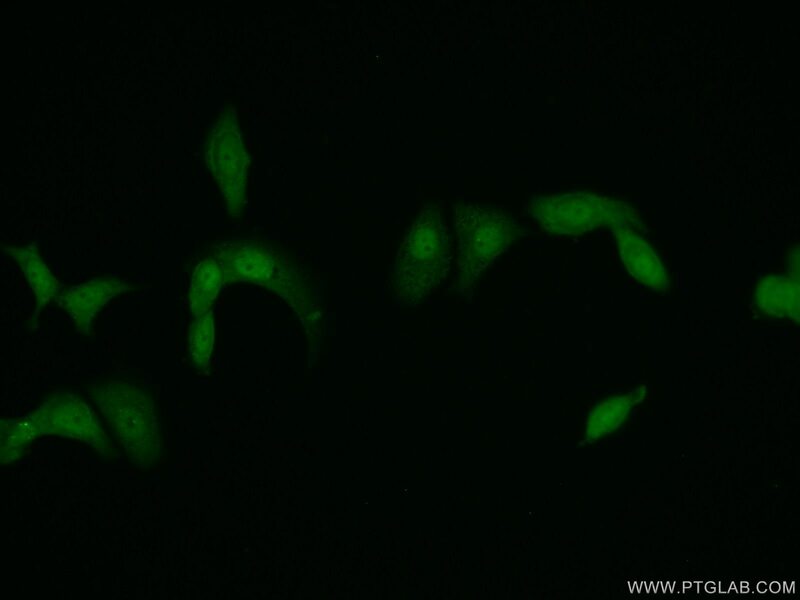 IP Result of anti-PSMD11 (IP:14786-1-AP, 3ug; Detection:14786-1-AP 1:500) with MCF-7 cells lysate 2000ug. The 26 S proteasome is a 2.5-MDa molecular machine that degrades ubiquitinated proteins in eukaryotic cells. It consists of a proteolytic core particle and two 19 S regulatory particles (RPs) composed of 6 ATPase (RPT) and 13 non-ATPase (RPN) subunits. PSMD11 gene encodes 19S proteasome subunit RPN6. Increased levels of PSMD11 and a corresponding increased assembly of the 26S/30S proteasome is correlated with high proteasome activity. 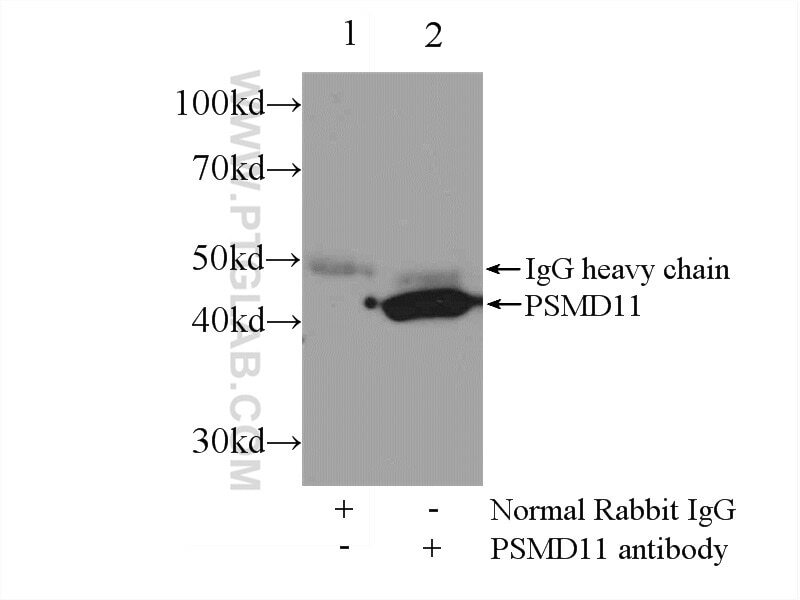 In vitro ectopic expression of PSMD11 is sufficient to increase proteasome assembly and activity. Latest research has implicated PSMD11 in regulation of human embryonic stem cells function. Proteomic Profiling Identified Multiple Short-lived Members of the Central Proteome as the Direct Targets of the Addicted oncogenes in Cancer Cells. Homoharringtonine could induce quick protein synthesis of PSMD11 through activating MEK1/ERK1/2 signaling pathway in pancreatic cancer cells.